It's always fun when I research my topic for the day. Without exception I always learn something new or odd. This is no less true with today’s topic, the ubiquitous red clover. Clover is common in the Northern hemisphere and comes in many varieties. As with many other common plants, they have not only found their way into our kitchens but also our medicine cabinets. I'll restrict my blather to red clover. You know – the one you used to pick as a child. The main chemical components of red clover are phenolic glycosides (salicylic acid), essential oil (methyl salicylate), sitosterol, genistiene, flavonoids, salicylates, coumarins, cyanogenic glycosides, silica, choline, and lecithin. 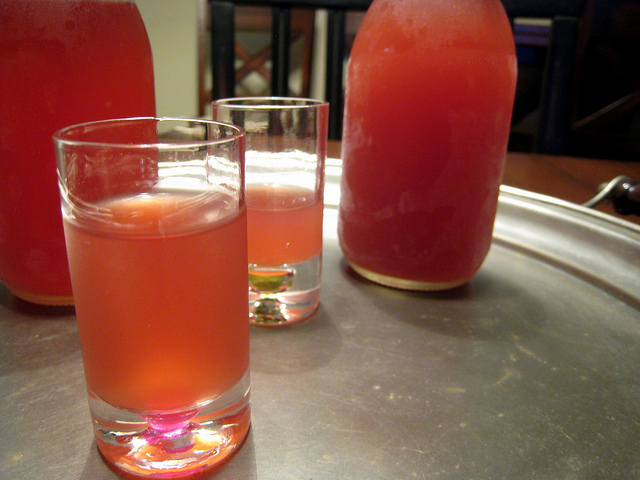 Red clover also contains vitamin A, vitamin C, B-complex, calcium, chromium, iron, and magnesium. Traditionally, red clover has been used to treat cancer, whooping cough, respiratory problems, and skin inflammations, such as psoriasis and eczema. Red clover contains isoflavones, plant-based chemicals that produce estrogen-like effects in the body. Isoflavones have shown potential in the management of menopause, effecting hot flashes, cardiovascular health, and osteoporosis. However, as researchers have learned more about the side effects of taking estrogen, there is also some concern about the safety of isoflavones. 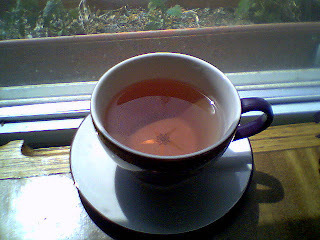 And the evidence that red clover helps reduce any menopausal symptoms – like hot flashes – is mixed. Side effects of using red clover extracts are generally mild and thankfully rare. but they do include breast tenderness, menstruation changes and weight gain. Although there is no evidence for concern, it is advised that red clover extracts should be avoided in women with a history of breast cancer. 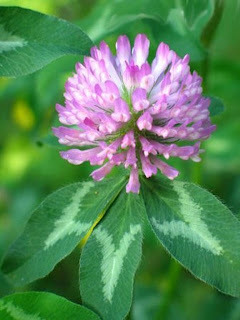 Pregnant and breast feeding women should not take red clover either. To gain any of the benefits (or worrisome effects) of red clover you would have to ingest an awful lot of it. All the medical information pertains to extracts or concentrations, so you’re safe using them to cook. For example, clover honey is sold in grocery stores and there’s no health warnings blasted on the side of it. Clover blossoms can be brewed as tea, made into ice cream, tossed into salads, added to pancake batter, biscuits or rice, as well as boiled into syrup that can be used as a sweetener. The seeds can also be sprouted and used much as alfalfa sprouts. These are only a few options. There are many more if you but look. Today's offering is a good one for on the back deck in the hot summer sun. Feel free to add a "kick" to it in any manner you desire.